DirectX is a bundle of Application programming interfaces (APIs) for handling audio, video, game programming and other multimedia solutions on Windows based Operating systems. DirectX SDK helps the developers to create rich multimedia and Games in Windows, just like. Net framework which is used to create Windows software. DirectX End- user Runtime helps users to run high quality Games and multimedia functions built on DirectX software development Kit (SDK). Microsoft yesterday released an update for DirectX Runtime 9.0c (Windows XP) and DirectX 10 for Windows Vista. Updating DirectX is essential to enjoy the latest possible multimedia entertainment in Windows based PC’s. DirectX usually contain the following APIs. DirectX download updates these APIs and patches it with new files. So each DirectX updates improves the quality of the video, audio and Gaming experience on Windows PC’s Apart from this, DirectX update download also contains some security fixes for previous versions. 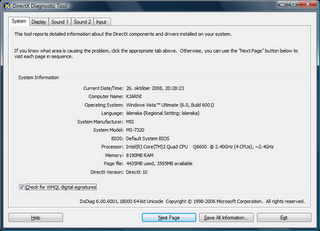 Microsoft’s download centre provides two versions of DirectX runtimes. One is a DirectX offline installer and DirectX web installer or online installer. DirectX download requires the genuine advantage validation for the machine to which it is downloaded and installed. The full offline installer of DirectX is about 96 MB, and it is intended for users without an internet connection. Others can use the DirectX web installer. Download DirectX web installer here. 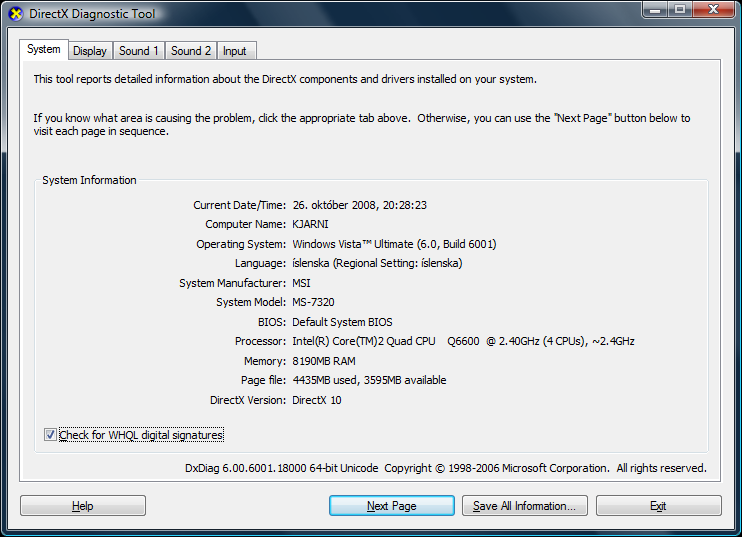 Download DirectX offline setup here. After installing the offline installer, you can use the online installer to download latest updates. So it would reduce the download time and data transfer required.